Average hospital stay refers to the average length of time a patient stays in a hospital following a medical procedure. The healthcare KPI can vary based on whether you operate a long- or short-term care facility. Measuring the length of a patient’s stay reveals a significant amount about the facility’s efficiency and coordination. Longer than average stays are usually a symptom of poor communication, quality of care, and effectiveness. The average hospital stay can also be used in conjunction with data regarding infection rates, complications, and productivity to determine concrete areas where improvements can be made. Additionally, reducing average hospital stay can create benefits elsewhere. Shorter stays are the result of better and more efficient care, and they tend to reduce readmissions and lower costs. There are a few factors to consider when measuring average hospital stay. The first consideration to make is the type of care your facility offers. Hospitals have generally longer average stays than smaller clinics. Additionally, the type of procedure makes a difference, as some recovery times are inevitably longer (recovering from heart surgery takes longer than an appendectomy). To track this KPI, establish a benchmark average (based on best practices and established standards) and compare averages by category to the baseline. To measure this KPI, you will generally need data regarding the length of all patients’ stay by procedure type. This includes information regarding individual patients as well as aggregate numbers for each department. Let’s say a hospital finds that patients seem to be spending a significant amount of time in recovery, and staff cannot be properly allocated to deal with new patients. This is affecting patients' satisfaction, causing treatment bottlenecks, reducing the number of available beds, and coincides with increased cases of post-procedure complications. Tracking average hospital stays, you can determine where patients seem to be spending the longest time in recovery. 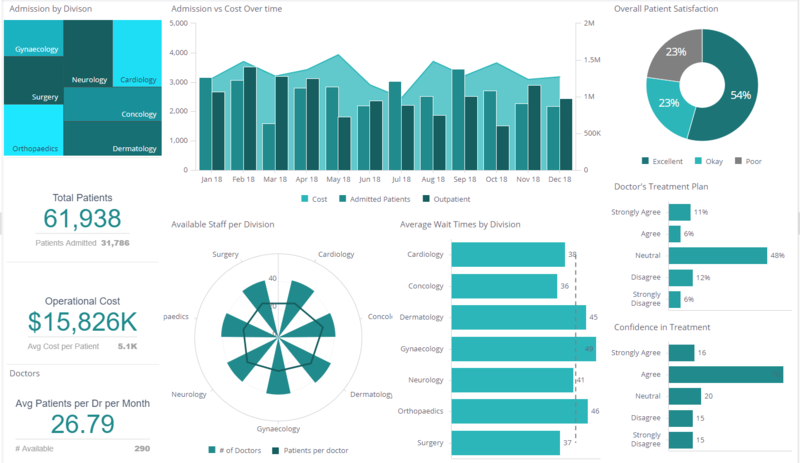 Combining it with data about complications as well as resources allocated, you can determine if best practices are being implemented, what is causing complications, and craft a plan of action to improve efficiency. What Benchmarks / Indicators Should I Use?